Prince Luigi Amedeo, Duke of the Abruzzi (29 January 1873 – 18 March 1933) was an Italian mountaineer and explorer, briefly Infante of Spain as son of Amadeo I of Spain, member of the royal House of Savoy and cousin of the Italian King Victor Emmanuel III. He is known for his Arctic explorations and for his mountaineering expeditions, particularly to Mount Saint Elias (Alaska–Yukon) and K2 (Pakistan–China). He also served as an Italian admiral during World War I. He was born in Madrid, Spain as the third oldest son of Prince Amadeo of Savoy, Duke of Aosta and his first wife Donna Maria Vittoria dal Pozzo della Cisterna. Prince Luigi Amedeo was a grandson of King Vittorio Emanuele II of Italy. He was born during his father's brief reign as King Amadeo of Spain. His siblings are Prince Emanuele Filiberto, Prince Vittorio Emanuele, and Prince Umberto. Shortly after his birth his father, who had reigned in Spain since 1870, abdicated and returned to Italy in 1873. Prince Luigi Amedeo was a member of the House of Savoy, well known in Europe since the 12th century. His uncle became King Umberto I of Italy in 1878, and his cousin became King Vittorio Emanuele III in 1900. The title Duke of the Abruzzi (Italian: Duca degli Abruzzi) was created by King Umberto I in 1890 for Luigi Amedeo, who was a son of the abdicating King of Spain Amadeus and initially was given the title of Infante of Spain. His ducal title referred to the central Italian region of Abruzzo. From 1893 to 1896, Luigi Amedeo traveled around the world, including Eritrea, then an Italian possession, and Vancouver. In September 1893, he traveled to Italian Somaliland to quell the unrest and stayed for a month to guard the port of Mogadishu, giving him his first contact with a land to which he would later devote the last years of his life and in which he would choose to die. He had begun to train as a mountaineer in 1892 on Mont Blanc and Monte Rosa (Italian Alps): in 1897 he made the first ascent of Mount Saint Elias (Canada/U.S., 5,489 m). There the expedition searched for a mirage, known as the Silent City of Alaska, that natives and prospectors claimed to see over a glacier. C. W. Thornton, a member of the expedition, wrote: "It required no effort of the imagination to liken it to a city, but was so distinct that it required, instead, faith to believe that it was not in reality a city." In 1898, Prince Luigi Amedeo organized an expedition towards the North Pole and consulted the famous polar explorer Fridtjof Nansen that had sailed the furthest north with the Colin Archer built polar ship Fram in 1893-96. In 1899 Amedo acquired the Jason, a steam whaler of 570 tons. He renamed her Stella Polare and took her to Colin Archer's shipyard in Larvik, Norway. The interior was stripped out and beams, diagonals and knees heavily strengthened the ship. In spring 1899 he arrived in the Norwegian capital Christiania (the present day Oslo) with 10 companions and Stella Polare (“Pole Star”) took the expedition through the frozen sea. On 12 June they headed for Archangel (Arkhangel’sk). On 30 June the Stella Polare dropped anchor in the docks of Arkhangel’sk and the duke was solemnly received by governor Engelhardt. The same day, Prince Luigi Amedeo was invited to meet the local authorities and the present foreign diplomats. Prince Luigi Amedeo established the winter camp on the Rudolf-Island. The expedition was to start at the end of the Arctic Night. The duke lost two fingers during winter because of the cold, which made it impossible for him to join the trip by sled. He left the command over the pole expedition to Captain Cagni. On 11 March 1900 Cagni left the camp and reached latitude 86° 34’ on 25 April, setting a new record by beating Nansen’s result of 1895 by 35 to 40 kilometres. Cagni barely managed to return to the camp on June 23. On 16 August the Stella Polare left the Rudolf-Island heading south and the expedition returned to Norway. During the expedition the northern coast of Rudolf-Island and two other islands were explored and measured. The Duke and his guides climbing an icefall on Chogolisa in 1909. The next great expedition, in 1909, aimed to climb K2 in Karakoram. A team led by Prince Luigi Amedeo reached a height of 6,250 m on the ridge in 1909. The standard route up the mountain (formerly known as K2's East Ridge) climbs today on the Abruzzi Spur. In an attempt on Chogolisa he and his companions again failed to reach the summit, but set a world altitude record. A vice-admiral in the Italian Royal Navy (Regia Marina), he was Inspector of Torpedo Craft from 1911 to 1912. During World War I, he was the Commander-in-Chief of the Italian Fleet (1914–1917) based in Taranto, his flagship being the Conte di Cavour. Under the Duke, the Regia Marina was responsible for saving the Army of the Kingdom of Serbia. In February 1917, he was replaced by Paolo Thaon di Revel, under pressure of the British and French allies. In February 1918, he was promoted to admiral, but played no role of importance anymore. The Explorers Club in New York elected the Duke to its highest category of membership — Honorary Member — in 1912. The Duke assisted Italian dictator Benito Mussolini with the Italo-Ethiopian Treaty of 1928. He traveled to Addis Ababa with gifts. One gift, a Fiat 3000 tank, ended up playing a role in crushing the abortive coup d'état of 1928. In 1932, the Duke was briefly the President of the newly merged Italian Line of steamships. In 1931, combining all of Italy's transatlantic carriers into the Italian Line was one of Mussolini's biggest business deals. However, the Duke resigned soon after SS Rex broke down at Gibraltar. According to him, "My reason is that I have been unable to achieve harmony among executives who formerly headed competing lines." In 1918, the Duke returned to Italian Somaliland. In 1920, he founded the "Village of the Duke of Abruzzi" (Villaggio Duca degli Abruzzi or Villabruzzi) some ninety kilometres north of Mogadishu. It was an agricultural settlement experimenting with new cultivation techniques. By 1926, the colony comprised 16 villages, with 3,000 Somali and 200 Italian (Italian Somalis) inhabitants. Abruzzi raised funds for a number of development projects in the town, including roads, dams, schools, hospitals, a church and a mosque. He died in the village on 18 March 1933. After Italian Somaliland was dissolved, the town was later renamed to Jowhar. In the early years of the twentieth century the Abruzzi was in a relationship with Katherine Hallie "Kitty" Elkins, daughter of the wealthy American senator Stephen Benton Elkins, but the Abruzzi's cousin King Victor Emmanuel III of Italy refused to grant him permission to marry a commoner. His brother, Emanuele Filiberto, to whom Luigi was very close, persuaded him to give up the relationship. His brother later approved of young Antoinette "Amber" Brizzi, the daughter of Quinto Brizzi, one of the largest vineyard owners in northern Italy. In the later years of his life, Abruzzi had a relationship with a young Somali woman named Faduma Ali. A species of African lizard, Leptosiaphos aloysiisabaudiae, is named in honor of Prince Luigi Amedeo. ^ "Luigi Amedeo Giuseppe Maria Ferdinando Francesco". Ultimate Italy. Archived from the original on 22 July 2012. Retrieved 10 November 2013. ^ Beolens, Bo; Watkins, Michael; Grayson, Michael (2011). The Eponym Dictionary of Reptiles. Baltimore: Johns Hopkins University Press. xiii + 296 pp. ISBN 978-1-4214-0135-5. ("Prince Luigi Amedeo of Savoy, Duke of Abruzzi", p. 6). Wikimedia Commons has media related to Luigi Amedeo, Duke of the Abruzzi. "Fascist New Year". Time Magazine. November 5, 1928. Retrieved January 19, 2010. "Royal Resignation". Time Magazine. October 24, 1932. Retrieved January 19, 2010. "Milestones". Time Magazine. March 27, 1933. Retrieved January 19, 2010. "Smooth Show". Time Magazine. January 21, 1935. Retrieved January 1, 2010. "THE DUKE OF ABRUZZI". Rwenzori Abruzzi. Retrieved November 11, 2013. "Abruzzi, Duke of" . The New Student's Reference Work . 1914. "Abruzzi, Prince Luigi Amadeo of Savoy-Aosta, Duke of" . Collier's New Encyclopedia. 1921. Prince Vittorio Emanuele of Savoy, Prince of Naples is the only son of Umberto II, the last King of Italy, and his wife, Marie-José of Belgium. Vittorio Emanuele also uses the title Duke of Savoy and claims the headship of the House of Savoy. These claims are disputed by supporters of his third cousin, Amedeo, 5th Duke of Aosta. Amadeo I, was an Italian prince who reigned as King of Spain from 1870 to 1873. The only King of Spain from the House of Savoy, he was the second son of King Vittorio Emanuele II of Italy and was known for most of his life as the Duke of Aosta, but was appointed King of Spain briefly, from 1870 to 1873. Prince Aimone, 4th Duke of Aosta was a prince of Italy's reigning House of Savoy and an officer of the Royal Italian Navy. The second son of Prince Emanuele Filiberto, Duke of Aosta he was granted the title Duke of Spoleto on 22 September 1904. He inherited the title Duke of Aosta on 3 March 1942 following the death of his brother Prince Amedeo, in a British prisoner of war camp in Nairobi. Prince Amedeo, Duke of Aosta was the third Duke of Aosta and a first cousin, once removed of the King of Italy, Victor Emmanuel III. During World War II, he was the Italian Viceroy of Italian East Africa. Prince Amedeo, Duke of Aosta is a claimant to the headship of the House of Savoy, the family which ruled Italy from 1861 to 1946. Until 7 July 2006, Amedeo was styled Duke of Aosta; on that date he declared himself Duke of Savoy, a title that is disputed between him and his third cousin, Vittorio Emanuele, Prince of Naples. In the event that Vittorio Emanuele and his son will fail to produce any legitimate male heirs, their claim to the Italian throne will pass on to Amedeo and his male-line descendants. Prince Emanuele Filiberto of Savoy, Prince of Venice, usually called Emanuele Filiberto di Savoia, is a member of the House of Savoy. He is the son and heir of Vittorio Emanuele di Savoia and only male-line grandson of Umberto II, the last King of Italy. 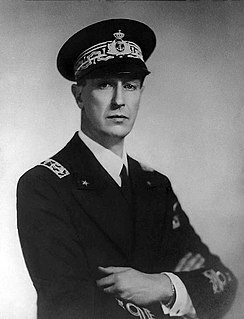 In his latter days, Umberto II created and gave the title of "Prince of Venice" to his grandson Emanuele Filiberto, but as one of the two heirs of the disputed headship of the House of Savoy, Emanuele Filiberto also styles himself as "Prince of Piedmont". Prince Emanuele Filiberto, 2nd Duke of Aosta was an Italian general and member of the House of Savoy. He was Prince of Asturias from 1870 to 1873, as the son of Amadeo I, and was also a cousin of Victor Emmanuel III of Italy. Filiberto was also commander of the Italian Third Army during World War I, which earned him the title of the "Undefeated Duke". After the war he became a Marshal of Italy. Prince Aimone of Savoy-Aosta, Duke of Apulia is the second child and first son of Prince Amedeo, 5th Duke of Aosta, one of the two claimants to the former throne of Italy. In 2006, his father declared himself Duke of Savoy and head of the House of Savoy; since then Prince Aimone has styled himself Duke of Aosta. However, because the headship of the royal house is disputed between his father and Vittorio Emanuele, Prince of Naples, he is still referred to as Duke of Apulia. Maria Vittoria dal Pozzo was an Italian noblewoman and became the Princess della Cisterna in her own right. Married to Prince Amadeo of Savoy, Duke of Aosta, second son of King Victor Emmanuel II of Italy, she was the Queen consort of Spain from 1870 until her husband's abdication in 1873. She is an ancestress of the current Duke of Aosta, a claimant to the erstwhile throne of Italy. Princess Olga, Duchess of Apulia is the daughter of author Prince Michael of Greece and Denmark and his wife, Marina Karella, an artist and daughter of the Greek business magnate Theodore Karella. Princess Olga is the wife of Prince Aimone of Savoy-Aosta, Duke of Apulia. Prince Umberto of Savoy was a member of the Aosta branch of the House of Savoy and was styled the Count of Salemi. Princess Claude of Orléans is a French princess of the House of Orléans. She is the former wife of Prince Amedeo, Duke of Aosta, a disputed head of the House of Savoy. Filippo De Filippi (1869–1938) was an Italian medical doctor, scientist, mountaineer and explorer. De Filippo was born in Turin on 6 April 1869 to Giuseppe De Filippi, a lawyer, and Olimpia Sella.